Leading Manufacturer of cable insulation foil mylar tapes from Dadra. 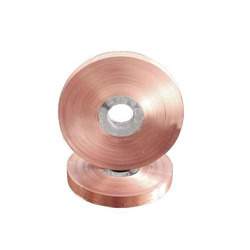 We laminate Cable Insulation Foil Mylar Tapes from 9 mic onwards with mylar (polyester film) 12 mic onwards and slitted as per the customers requirement. This collection is fabricated with the use of finest-class basic amenities keeping in view the predefined industrial ethics. Looking for Cable Insulation Foil Mylar Tapes ?